Mumbai 24 July 2016: Coughing is perfectly normal until it becomes persistent. Coughing clears phlegm and other irritants from the throat. But it's never a fun situation when you have persistent cough. A cough can get really irritating! When it's continuous and persistent. Acute : When your cough lasts less than 3 weeks it is said to be an acute cough. Sub-acute : When your cough is persistent from 3 to 8 weeks it is said to be subacute cough. Chronic : If your cough continues to last even after 8 weeks it is said to be a case of chronic cough. Productive : If you have been coughing up sputum, it is said to be a productive cough. Dry cough : If there are no signs of sputum while you cough then it is said to be dry cough. What causes us to cough? There are so many reasons behind why we cough. I'll just be listing down the most common reasons to why we cough. Some of the above cause acute cough which can be treated with home remedies, while some cause chronic cough which needs us to see a doctor. Warm milk hydrates the dry throat, reduces chest congestion and also helps im removing sputum. Sesame oil is widely used as a traditional remedy for relief from cough, it is a thicker syrup said to ease the symptoms of coughs, especially in children. Almonds too are known to be a good cough suppressant due to its nutritious content and moisturizing abilities. Lemon tea is known as a queen of teas. This refreshing tea provides relief from cough by soothing the throat. 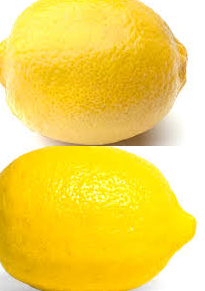 Lemon clears any built up phlegm from your throat, giving you the much needed relief from cough. Lemongrass is a herb which has a summery aroma which helps in getting relief from cough. Lemongrass is used as an infusion in boiling water to relieve cough. Vapor from the infused water soothes the aching throat muscles. Natural properties present in flax seeds help to soothe sore throat which provides relief from cough. Turmeric is well known for it's medicinal properties. Turmeric has amazing antibacterial and healing properties which provide a quick relief from cough. Vinegar can be used to soothe the cough, because of its anti bacterial properties. This is one of the best home remedy for cough. This is an easy homemade cough syrup, made by grating onion and mixing it with sugar. 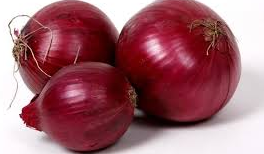 The antibacterial properties of onion will give you quick relief from cough. Cinnamon is a spice which has a lot of health benefits. Cinnamon mixed with honey works like magic to give relief from cough. 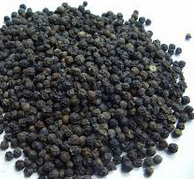 Black pepper is very effective in curing persistent cough. As Black pepper stimulates circulation and mucus flow. When taken with honey it is the best remedy for instant relief from cough. Garlic has many health benefits. As Garlic has very strong antibacterial and pain relieving properties. Making it an awesome home remedy to cure stubborn cough. Thyme is a delicate herb which is used as a home remedy for many ailments. One of the ailment it is said to cure is cough. 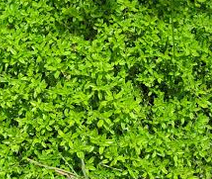 Thyme is rich in flavonoids which relaxes the tracheal and ileal muscles, which are involved in coughing, and also reduce inflammation. Maple syrup also has similar soothing properties like honey, it can also be used to get relief from cough. Licorice is used as a pain reliever and relaxant. You will be surprised to know that how just keeping Licorice in your mouth for 10 minutes helps you to get relief from cough. One important thing, do not use Licorice if you are pregnant. This is a specific kind of sugar which helps to soothe sore throat caused due to excessive coughing. Honey is one of the most used home remedy for cough. Honey has many health benefits. Honey is a natural cough suppressant. Eucalyptus oil is an essential oil easily available in the market, and is an age oil home remedy for cough and cold. Eucalyptus oils expectorant and antibacterial action will relieve your cough, headache, body ache and a blocked nose in a jiffy. 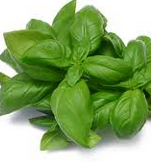 Basil is a medicinal plant which has many health benefits. In India basil plant is worshipped. Ginger used as a home remedy for many ailments. Ginger is a natural cough reliever as it has strong antibiotic properties. Clove is a wonder spice as it has many health benefits. 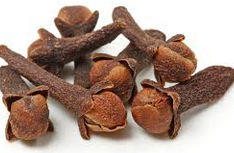 Cloves acts as expectorant and loosens phlegm in the throat. The antibacterial properties of common salt helps in providing relief from cough. Using common salt for gargling also provides humidity to your sore throat and soothes it. The vitamin c and the antimicrobial properties present in lemon helps in fighting cough forming bacteria and soothing the throat. 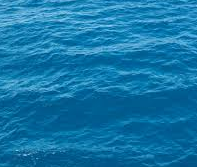 The universal solvent, water has so many unknown health benefits. Drinking warm water is a perfect home remedy for cough as it will relieve your cough and keep your body hydrated. Taking a spoonful of milk cream at bedtime will let you have a peaceful sleep as ut soithes the irritation in the throat. But make sure you dont eat or drink anything after that or it will reverse the effect of it, and worsen your cough.